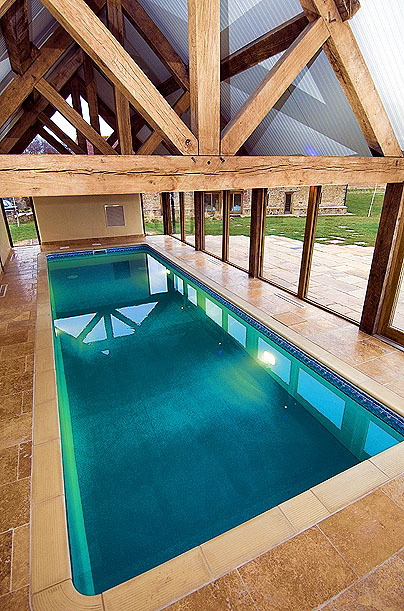 Heated limestone clad pool contained within an oak framed building with walls of glass, guaranteeing open panoramic views across the ridge line. Take breakfast poolside. Watch the sunrise, the storm clouds gather or gaze at the stars. The fully heated indoor pool is available for use by guests, free of charge – we even give you some dressing gowns so you can sashay across with style!